Dantec have taken the step to become an EU approved exporter with EU PREFERENCE EXPORTS (UNITED KINGDOM) – to the EFTA countries (Norway, Iceland &, Switzerland-incl. Liechtenstein), Ceuta / Melilla, Israel, Faroe Islands, Macedonia, Andorra, South Africa, Mexico, Jordan, Chile, Lebanon, Egypt, Algeria, Albania, Morocco, Tunisia, Syria, Turkey, The West Bank / Gaza Strip, Montenegro, Bosnia and Herzegovina, Cariforum States, Serbia, South Korea, Peru, Colombia, Honduras, El Salvador, Costa Rica, Nicaragua, Panama, Guatemala, Georgia, Moldova, Ukraine, Ecuador. This means that we are authorised to declare the origin of goods, exported from UK to the above mentioned countries. This is done via inserting a declaration onto the invoice with the approval number. Diminishing the need to produce (and pay for) EUR1 forms – also known as a ‘movement certificate’… this enables importers in certain countries to import goods at a reduced or nil rate of import duty under trade agreements between the EU and beneficiary countries. This benefits our customers as we will no longer need to charge the customers for EUR1 forms, and may provide them with additional savings on duties. This application especially benefits south korea – South Korea did not approve the use of EUR1 Forms in their EU Preferential Trade Agreement so ONLY traders who have this Approved Exporter Status can issue preference certificates. 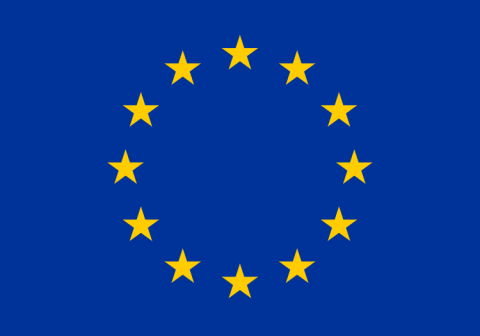 – this now means the EU originating goods will ALSO be imported into South Korea at a reduced, probably zero, rate of duty. With Brexit approaching, Dantec are taking all steps possible to ensure there is a smooth transition whatever the deal, this is just one part of the measures we have taken.